Escape the urban bustle at Kenneth Hahn State Recreation Area and Santa Monica Mountains. 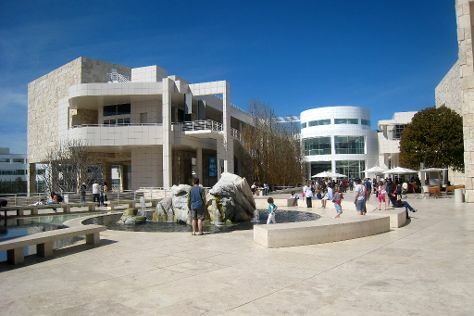 Get some cultural insight at The Getty Center and Hollywood Walk of Fame. Change things up with these side-trips from Los Angeles: Manhattan Beach (in Manhattan Beach), Anaheim (Disneyland Park, Disney California Adventure Park, & more) and AllWater Charters & Boat Rentals (in Dana Point). Pack the 17th (Mon) with family-friendly diversions at Universal Studios Hollywood. There's much more to do: enjoy the sand and surf at Venice Beach and Boardwalk, see the sky in a new way at Griffith Observatory, take in the waterfront at Santa Monica Pier, and identify plant and animal life at Ballona Wetlands. To see other places to visit, where to stay, photos, and other tourist information, you can read our Los Angeles trip planner . If you are flying in from Australia, the closest major airports are Los Angeles International Airport, John Wayne Airport-Orange County Airport and Ontario International Airport. In June, daytime highs in Los Angeles are 30°C, while nighttime lows are 19°C. Finish your sightseeing early on the 28th (Fri) so you can travel back home.